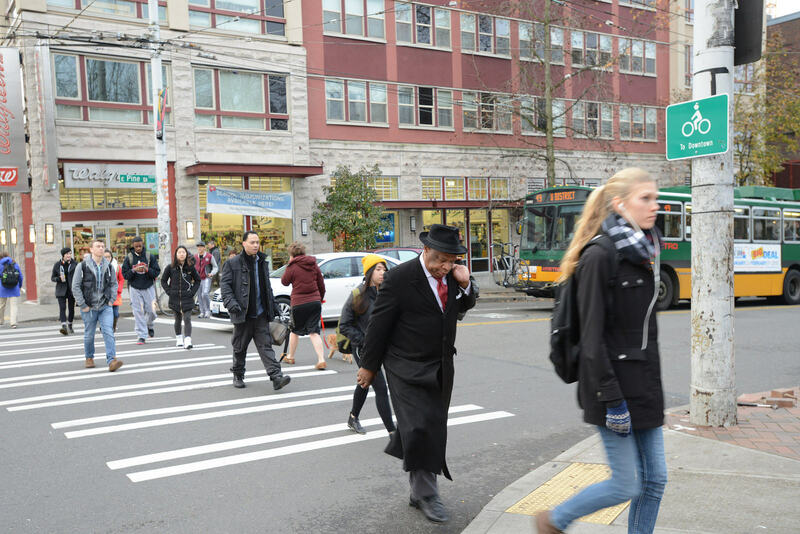 Founded by a temporary resolution in 1993, the Pedestrian Advisory Board was made permanent bySeattle City Council Resolution 29532 in 1997. The Board is composed of 11 regular members - six appointed by the Mayor and five appointed by the Council. The Get Engaged: City Boards and Commissions program created an additional spot in the board specifically for a young adult (18-29) member. Prepare an annual report on the status of its work program and achievement of its goals to the Mayor and City Council. The Pedestrian Advisory Board also tracks implementation of the Seattle Pedestrian Master Plan. The PMP Technical Update was adopted by the Mayor and City Council in 2017. Board meetings are on the second Wednesday of each month from 6:00 to 8:00 p.m. in New City Hall on 5th Avenue between James and Cherry, Room L-280, Second Level. The public is welcome to attend. For more information, please contact the board liaison at DOT_PedBoard@seattle.gov. ¡Vamos a salir a caminar en Seattle! Incorpórese a la Junta Asesora de Peatones de Seattle (Seattle Pedestrian Advisory Board). Hãy Làm Cho Seattle Trở Thành Thành Phố Đi Bộ! Tham Gia Ủy Ban Tư Vấn Người Đi Bộ Seattle.